The world’s first edgeless, non-disposable, hi-definition cosmetic sponge applicator. The unique shape and exclusive material available only with Beautyblender ensures impeccable, streak-free application with minimum product waste. Use with primer, foundation, powder, cream blush and any other complexion product. 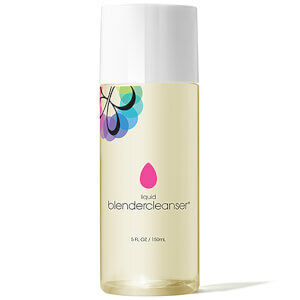 Blendercleanser is a lightly lavender-scented cleanser that’s free of dyes and skin irritants. It’s soothing soy-based, low-suds formula breaks down rapidly, making it earth-friendly and fun to use. This cleanser supports the integrity of the blender as well as removes excess residue and germs for a clean makeup application. 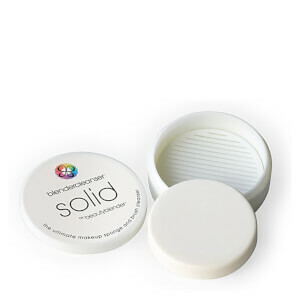 The world’s first edgeless, non-disposable, hi-definition cosmetic sponge applicator. The unique shape and exclusive material available only with Beautyblender ensures impeccable, streak-free application with minimum product waste. 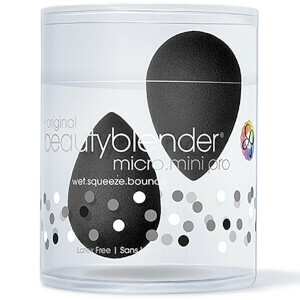 Use with primer, foundation, powder, cream blush and any other complexion product.Beautyblender features an open cell structure that fills with small amounts of water when wet. This allows the sponge to be “full” so that the makeup product sits on top of the sponge rather than being absorbed into the sponge, allowing you to use less product every time. When wet, Beautyblender doubles in size and becomes even softer, returning to its original size when it air dries.Blendercleanser is a lightly lavender-scented cleanser that’s free of dyes and skin irritants. It’s soothing soy-based, low-suds formula breaks down rapidly, making it earth-friendly and fun to use. This cleanser supports the integrity of the blender as well as removes excess residue and germs for a clean makeup application. As an alternative to a brush, this little product is great. Get it wet, squeeze it out, the way it's contoured there isn't an area on your face you can't get to and you won't make a mess of it. You control the amount of dampness in the sponge so you control how much of a powder effect and how much of a liquid makeup effect you get. Two cons: The pink flushes out of the sponge if you rinse it in hot water, and the cleanser doesn't remove my Jane Iredale makeup to my satisfaction. I tried some Neutrogena makeup remover and it works fabulously. This combo product isn't worth the $50+ dollars they ask for but it is worth the $30+. It would be nice if they could sell the sponge without the cleanser.